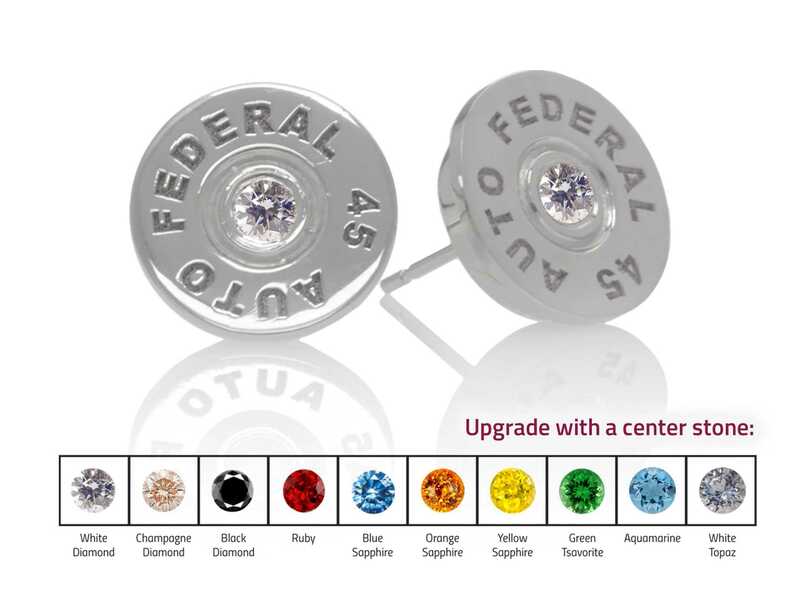 Home / Precious Stones / White Diamonds (Jewelry) / Bullet Earrings :: in 10kt White Gold – Customize your Own! 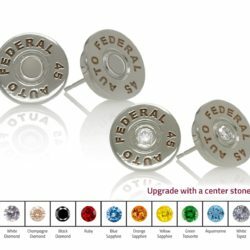 Bullet Earrings :: in 10kt White Gold – Customize your Own! 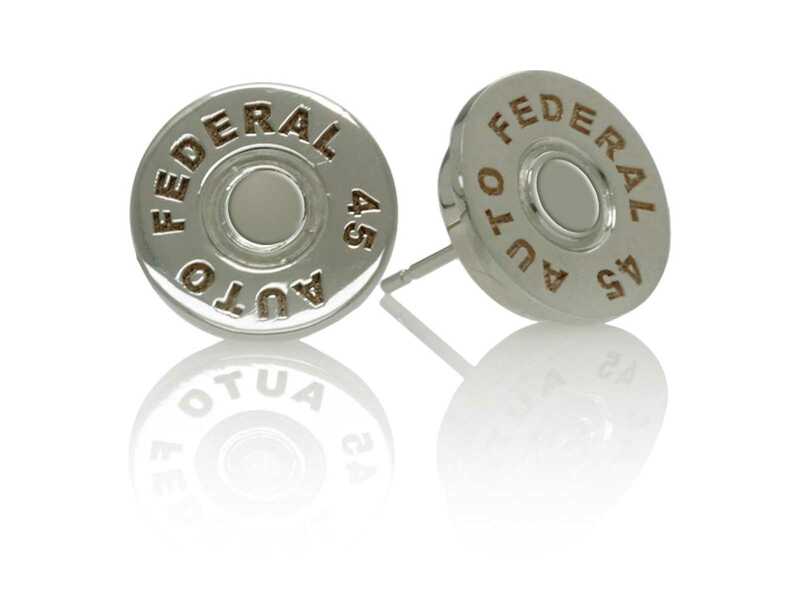 These pair of Bullet earring studs are handcrafted in 10kt white gold weighing a total 6 grams. 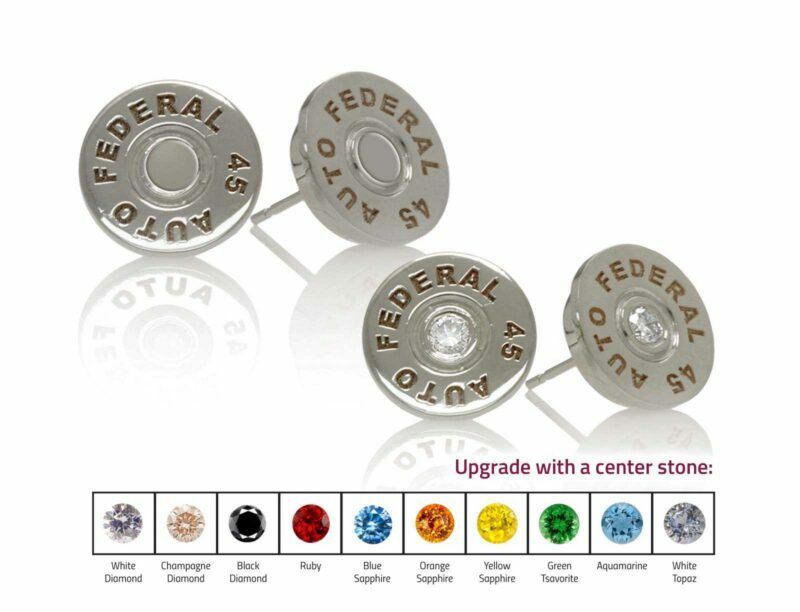 Each bullet casing is cast, polished and professionally finished by hand. The caliber shown is a 45 auto. 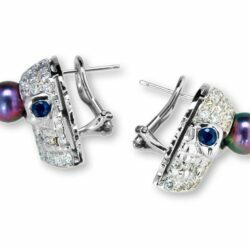 Every set of earrings are signed by the artist and accompanies a certificate of authenticity. 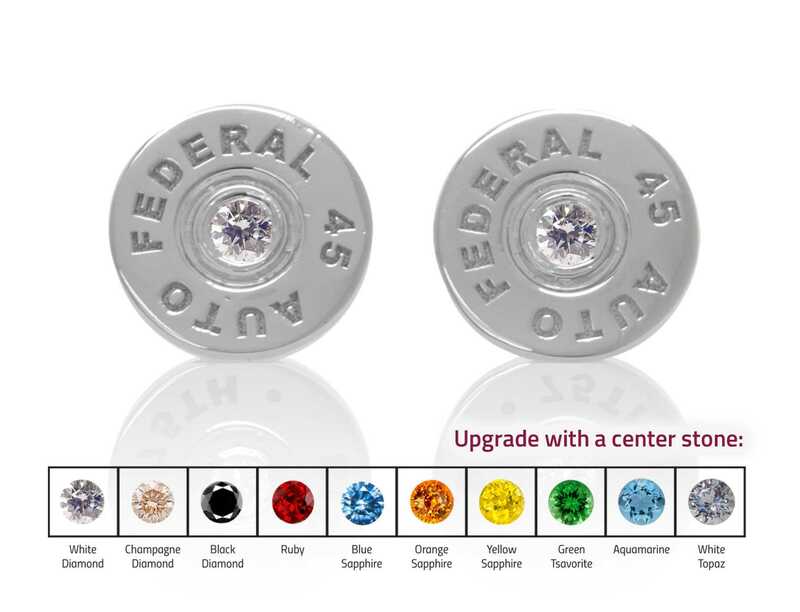 Each stud size is 12mm in size and accented with high quality backings. The set comes in a signed leatherette pouch. Upgrade to our beautiful leatherette gift box for $12.95. 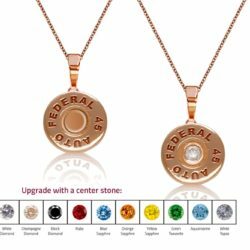 Add a precious stone of your choice to the bullet casing.